Posted: Thursday, June 21, 2018. 4:47 pm CST. 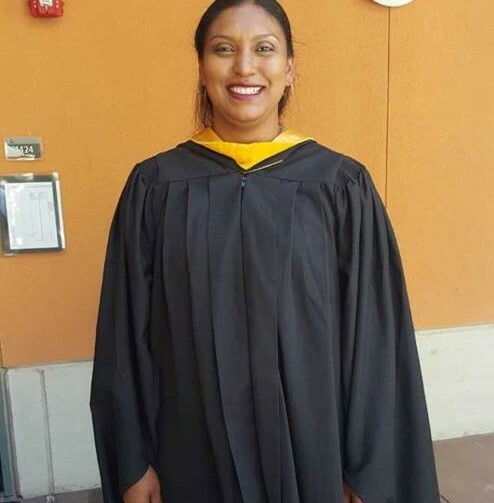 By BBN Staff: Denise Garcia, originally from Punta Gorda, Toledo recently completed a Masters in Environmental Science and Management at the Bren School of Environmental Science and Management, University of California, Santa Barbara, USA. Denise was the recipient of the Wildlife Conservation Society’s (WCS) Christiansen Conservation Leaders Program in 2016. Garcia’s research focused on improving creation and effectiveness of fish refuge zones (no-take marine reserves) in the State of Quintana Roo, Mexico, which was developed into a manual and is now being used in Mexico. She entered the conservation field as a volunteer at the Toledo Association for Sustainable Tourism and Empowerment (TASTE) in 2005. Since 2012, Garcia has worked with the Fisheries Department and fishing communities in southern Belize to understand, support and adopt Belize’s fisheries program, and helped to develop and implement a national social marketing campaign. She plans to continue working to improve the management of Belize’s small-scale fisheries, fostering community participation, support, and empowerment, and promoting the adoption of strategies that preserve the livelihood of the country’s fishing communities. Denise told WCS, “I am grateful to WCS, especially Belize country office, for providing me with the opportunity to join a network of professionals keen in solving environmental issues from a multi-disciplinary perspective”. Congratulations to Denise on all her accomplishments!